Jordan Ignatiuk was born and raised on a farm at Preeceville, SK, where the transition of Aspen Parkland to Boreal Forest begins. Within walking distance of the Assiniboine River, many summer days were spent exploring its shores and the forests and wetlands around the farm where his love of nature and wildlife was nurtured. Jordan completed an undergraduate degree in Biology at the University of Regina and after two summers working on waterfowl with Environment Canada in Saskatoon he began his graduate field research there. Jordan received his Master’s Degree from Macdonald College of McGill University. 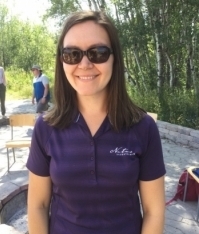 Jordan has worked at Ducks Unlimited, the Saskatchewan Wetland Conservation Corporation (now the Water Security Agency), and most recently with The Nature Conservancy of Canada. Jordan's career has included academic and applied research, wildlife habitat management and conservation, which will bring a well-rounded knowledge to the leadership of Nature Saskatchewan. 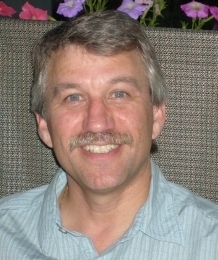 Jordan looks forward to the challenge and meeting and working with the many dedicated members and volunteers. Melissa Ranalli is Nature Saskatchewan's Species at Risk Manager. Her diverse interests have led her to a wide variety of work and research streams, from Big Brown bat ecophysiology, to paleoecology, dendrochronology, green roof plant ecology, education, and most recently, species at risk. She completed a Bachelor of Science Honours degree in Biology at the University of Regina and a Master's degree in green roof plant ecology at Saint Mary's University in Halifax, Nova Scotia. In her spare time she loves spending time with her son and husband, including gardening, reading, running, camping, hiking, and cooking. 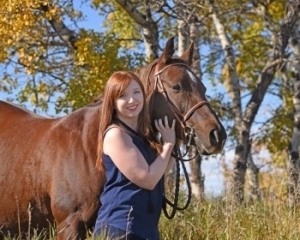 Lacey Weekes grew up on a farm East of Biggar where she spent most of her childhood outdoors. She graduated with a Resource Management diploma from SIAST and an Environmental Biology degree from the University of Regina. Lacey began working for Nature Saskatchewan in 2008 as a summer assistant and came back for a second summer in 2009. She came on as Operation Burrowing Owl coordinator in 2010 and now Lacey is pleased to be the Conservation and Education Manager. Ellen Bouvier grew up in Regina, SK and spent the majority of her childhood exploring nature. Most family time was spent hiking, horseback riding or just appreciating the natural world. 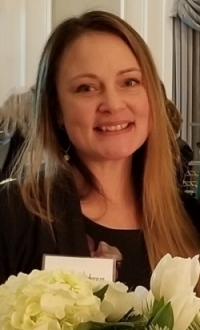 Ellen completed her Bachelor of Science degree in Physical Geography at the University of Regina in 2004 and began working with Nature Saskatchewan in 2008. Ellen lives in Regina with her husband and two young children. Becky Quist was born and raised on the prairies with numerous camping trips around the province and to the Canadian Rockies, it was instilled in her from a young age to appreciate and respect nature and everything within it with an understanding that all life is connected. This love for nature has echoed through her adult life, having worked in a national park, being a constant advocate for environmental groups as well as activist and promoter for permaculture and renewable energy and global and local sustainability. She is very excited to be working with Nature Saskatchewan and other naturalists and looks forward to making an impact where she can. Although born and raised in the city of Regina, my favorite place to be is out in the prairie. I have always been passionate about wildlife and have been lucky enough to be able to work with many of the wonderful species that call Saskatchewan home. I received both my Bachelor’s and Master’s of Science degrees from the University of Regina and really enjoyed my studies in Biology and the opportunity to work with so many of our native species. I started with Nature Saskatchewan as a Habitat Stewardship Coordinator in January 2014, to cover a maternity leave, and they haven’t been able to get rid of me since! Staying on as a summer assistant, then a database technician, I am currently the Habitat Stewardship Coordinator for the Rare Plant Rescue program. I look forward to continue working with a great team and all of the wonderful landowners in conservation of our Saskatchewan wildlife and the land that we call home. Emily Putz was born and raised in Regina, Saskatchewan and has always had a fascination with the outside world around her. Her interest in nature started young, and growing up most of her time was spent writing in nature journals, bird- watching, gardening, and exploring different areas of Saskatchewan each summer on father-daughter trips. 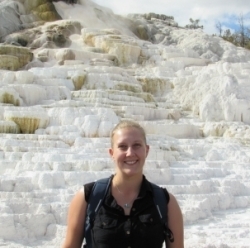 Emily knew that her interest was always to pursue a career in biology and completed her degree in biology with concentration in ecology and environmental biology from the University of Regina. She has been lucky to have had great opportunities to work with a number of different species including the SOS target species, time spent in South Africa doing species surveys, and this past summer working on the Piping Plover Project as well as doing population and habitat assessments for Chestnut Lamprey. Emily’s spare time is spent hiking, reading, horseback riding, and spending time with her zoo at home including a very affectionate dog, cat, rabbits and horse. She first joined the Nature Saskatchewan team in 2014 as a habitat stewardship summer assistant and she is very excited to once again be back, this time in the position of Acting Operation Burrowing Owl Coordinator. Hello! 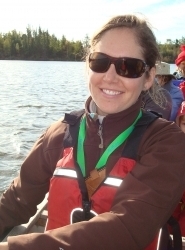 My name is Kaytlyn Burrows and I am a Habitat Stewardship Coordinator with Nature Saskatchewan. I have had a love for Saskatchewan and the prairies for as long as I can remember. Even though I grew up as a city kid in Regina, Saskatchewan, I was able to maintain a strong connection to nature and the prairies thanks to summers spent at my grandparents farm near Tisdale, Saskatchewan. I graduated from Lakeland College in 2012 with an Environmental Science diploma in Conservation and Restoration Ecology and I have been fortunate enough to be with Nature Saskatchewan since then. I spent the summer of 2012 as a member of the Rare Plant Rescue search and monitoring crew and then moved into the Office Coordinator position until starting in my current position. I have been the Coordinator for Nature Saskatchewan’s longest running stewardship program, Operation Burrowing Owl since July of 2013 and I am so fortunate to love what I do! I am a prairie girl at heart and hope I can continue to do what I love and share my passion for conservation! Kaytlyn is currently on leave. Rebecca Magnus was born and raised in Regina, Saskatchewan, and spent most of her childhood summers at Last Mountain Lake. Rebecca has her Bachelor of Science Degree in Environmental Biology with a diploma in Integrated Resource Management. Rebecca has been working with Nature Saskatchewan since 2007, first as a habitat stewardship programs assistant followed by two summers of Rare Plant Rescue search and monitoring work. With the exception of two maternity leaves and eight months as the acting Species at Risk Manager, Rebecca has been the Shrubs for Shrikes and Plovers on Shore Coordinator since May 2010. Rebecca has also been the Stewards of Saskatchewan banner program coordinator since its inception in 2011. Rebecca and her wonderful husband are constantly being engaged in nature with their two amazing, inquisitive young boys; she looks forward to sharing the enthusiasm with all of you.